8th August 2009, Kathmandu, Yela Maya Kendra, Patan Dhoka witnessed a big flock of Kathmanduites from different walks of life to create share and advance ideas. Dominated by presence of youngsters the sessions registered at http://barcampktm.wikispot.org/BCKTM09_Sessions was under way when I reached there around 11:30 AM. Jumping on a session invitingly titled “Collaboration amongst Nepalese IT companies/entrepreneurs for creating a strong IT industry in Nepal” was grabbing attention. 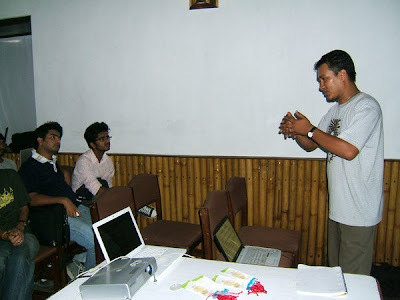 The session presented by Bibhusan Bista (@bbista) was really good. The history laid out and the ideas presented was commendable. While tweeting for the session (not from my twitter account), I was amazed by the views voiced by the participants. 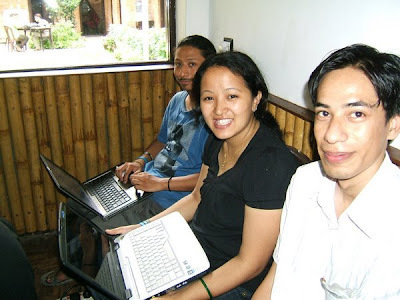 They were really frustrated with the Government policies, lack of implementation and loads of other things. 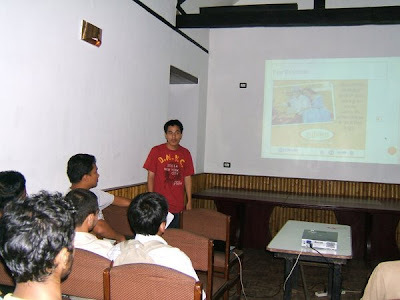 I really think this session and idea of getting together to better IT industry in Nepal should be taken to next level. Then after lunch, Rabindra Gurung’s session on “BCC - Behavioural Change Communication in Nepal” was also very good. @rabinshres did put light on how it is being used and with the stats and touchy pictures he made his message clear. The discussions after the session was also very good and fruitful. But in all this we missed the “Twitter Analysis” session :). Then after some time in the “Innovate a trance within-FOO-THE-FLUTE” session by Sunil Pariyar we just could hear some Flute being played which was amazing. Last session I tried to attend :) was “संस्कृत(Sanskrit) restoring the lost glory” but before the end I lost interest ;). I guess we will see more events like this promoting open culture, yes Software Freedom Day (SFD) 2009 being organized by FOSS (Free and Open Source Software) Nepal is also approaching near.